The Stone Age in human prehistory also referred to as the Paleolithic Period, is the period between about 2.7 million and 10,000 years ago. You'll see different dates for the starting and ending dates of the Paleolithic periods, in part because we're still learning about these ancient occurrences. The Paleolithic is the time when our species Homo sapiens, developed into the human beings of today. The people who study the past of humans are called archaeologists. 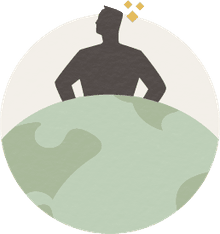 Archaeologists study the recent past of our planet and the evolution of physical human beings and their behaviors. Those archaeologists who study the very earliest human beings specialize in the Paleolithic; scientists who study the periods prior to the Paleolithic are paleontologists. The Paleolithic period begins in Africa with the earliest human-like behaviors of crude stone tool manufacture about 2.7 million years ago and ends with the development of fully modern human hunting and gathering societies. Domestication of plants and animals marks the beginning of modern human society. 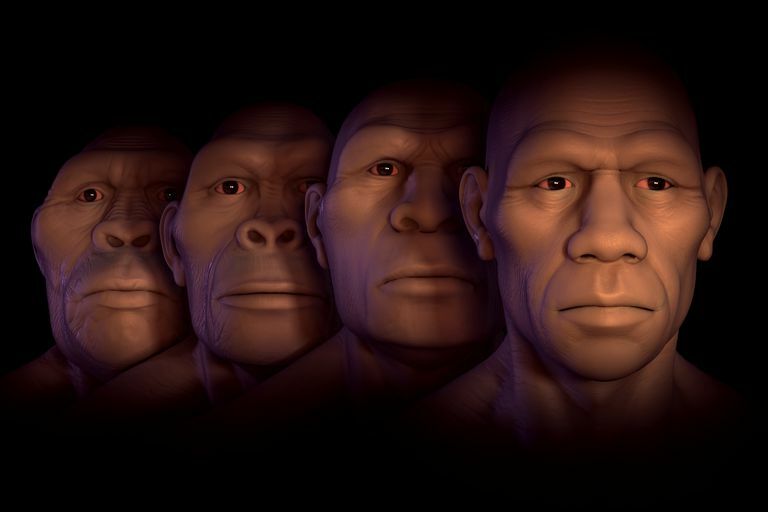 After decades of debate, the majority of scientists are now convinced that our earliest human ancestors evolved in Africa. In Europe, where humans finally arrived after about a million years in Africa, the Paleolithic was marked by a cycle of glacial and interglacial periods, during which time glaciers grew and shrank, covering massive portions of land and forcing a cycle of human depopulation and recolonization. Today scholars divide the Paleolithic into three categories, called Lower Paleolithic, Middle Paleolithic, and Upper Paleolithic in Europe and Asia; and Early Stone Age, Middle Stone Age and Later Stone Age in Africa. In Africa, where the earliest humans arose, the Early Stone Age begins some 2.7 million years ago, with the earliest stone tools recognized to date in the Olduvai Gorge of East Africa. These tools were simple fist-sized cores and whole flakes created by two ancient hominids (human ancestors), Paranthropus boisei and Homo habilis. The earliest hominids left Africa about 1.7 million years ago, arriving at sites such as Dmanisi in Georgia, where hominids (probably Homo erectus) made stone tools suggestive of those from Africa. Human ancestors, as a group, are called hominids. The species that evolved in the Lower Paleolithic include Australopithecus, Homo habilis, Homo erectus, and Homo ergaster, among others. The Middle Paleolithic period (ca 300,000 to 45,000 years ago) witnessed the evolution of Neanderthals and the first anatomically and eventually behaviorally modern Homo sapiens. All of the living members of our species, Homo sapiens, are descended from a single population in Africa. During the Middle Paleolithic, H. sapiens first left from northern Africa to colonize the Levant between about 100,000-90,000 years ago, but those colonies failed. The earliest successful and permanent Homo sapiens occupations outside of Africa date to about 60,000 years ago. Achieving what scholars call behavioral modernity was a long, slow process, but some of the first glimmers arose in the Middle Paleolithic, such as the development of sophisticated stone tools, caring for the elderly, hunting and gathering, and some amount of symbolic or ritual behavior. By the Upper Paleolithic (45,000-10,000 years ago), the Neanderthals were in decline, and by 30,000 years ago, they were gone. Modern humans spread all over the planet, reaching the Sahul (Australia) about 50,000 years ago, mainland Asia about 28,000 years ago, and finally the Americas, about 16,000 years ago. The Upper Paleolithic is characterized by fully modern behaviors such as cave art, hunting a range of techniques including bows and arrows, and making a wide range of tools in stone, bone, ivory, and antler. Bar-Yosef O. 2008. ASIA, WEST - Palaeolithic Cultures. In: Pearsall DM, editor. Encyclopedia of Archaeology. New York: Academic Press. p 865-875. Close AE, and Minichillo T. 2007. ARCHAEOLOGICAL RECORDS - Global Expansion 300,000-8000 years ago, Africa. In: Elias SA, editor. Encyclopedia of Quaternary Science. Oxford: Elsevier. p 99-107. Harris JWK, Braun DR, and Pante M. 2007. ARCHAEOLOGICAL RECORDS - 2.7 MYR-300,000 years ago in Africa In: Elias SA, editor. Encyclopedia of Quaternary Science. Oxford: Elsevier. p 63-72. McNabb J. 2007. ARCHAEOLOGICAL RECORDS - 1.9 MYR-300,000 years ago in Europe In: Elias SA, editor. Encyclopedia of Quaternary Science. Oxford: Elsevier. p 89-98. Petraglia MD, and Dennell R. 2007. ARCHAEOLOGICAL RECORDS - Global Expansion 300,000-8000 years ago, Asia In: Elias SA, editor. Encyclopedia of Quaternary Science. Oxford: Elsevier. p 107-118. Shen C. 2008. ASIA, EAST - China, Paleolithic Cultures. In: Pearsall DM, editor. Encyclopedia of Archaeology. New York: Academic Press. p 570-597.